The California STEAM conference convenes nearly 3,000 educators from across California to catalyze improved STEAM instruction for all students. The California STEAM Symposium provides educators with opportunities for ongoing rigorous, high-quality, collaborative professional development. The conference also showcases innovative approaches to teaching and learning happening throughout the state. 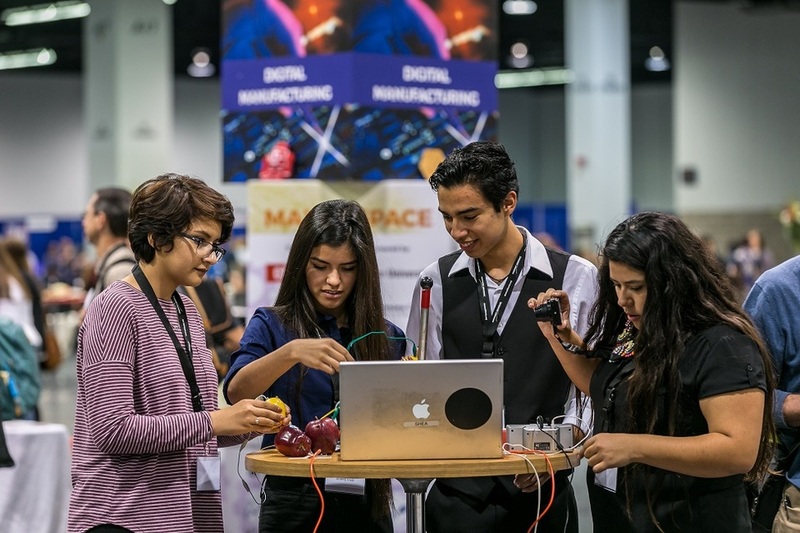 KQED will have a session, a booth in the exhibit hall, and an activity in the Maker Space. Develop knowledge of the engineering design process with a media-rich, hands-on, student-centered design challenge for middle school. Discover how to engage students in sharing their own engineering stories and solutions through media-making activities. Engineering for Good is a three-week, project-based learning unit for middle school science classrooms focused on developing solutions for negative impacts of plastics on the environment. In these NGSS-aligned lessons, students use the engineering design process to define a problem, brainstorm solutions, develop prototypes and iterate on their designs. This KQED Arts collection focuses on artists whose environmental concerns are apparent in their work. Integrate the arts into eco-literacy, and discover different ways that artists address environmental issues through their art practice. Prev Flipping the Fit Lab: How iPads Improve Learning in Physical Education Next Why Are Some Violent Attacks Considered Terrorism, But Not Others?